Having Crystals on your nail art is always nice. Unfortunately, the Crystals can fall off in just a few days time. Eaxy Fix from Korea has just the right solution. This new product is a dual-tip pen with a gel dispenser on one end, and a LED light on the other end. To fix on a piece of crystal securely, just dispense some gel first. Then, turn the pan around and shine the LED light on in a circular motion for about 60 seconds. 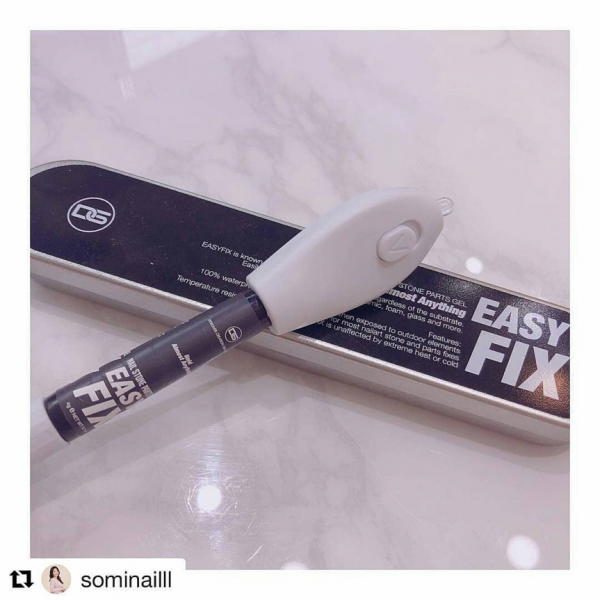 This fixer pen is so easy to use, now you can have the Crystals on your nails as long as you would like.